Thanks for choosing LabelsRus! We look forward to working with you on your very special wedding invitations. NOTE: This form will NOT require you to enter any payment information. This is simply to help us build your proof and calculate your total due. We will send you your total via ETSY after you approve your proofs. Let us know how to get in touch with you! We'll quote you in an Etsy message before your final total. 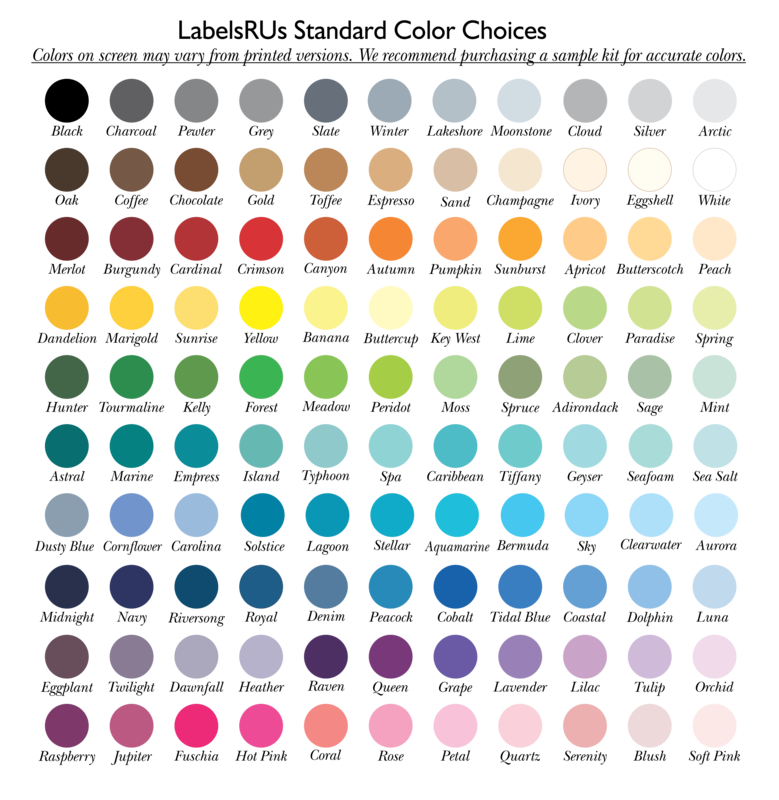 Color Choices - Please list the colors you would like us to use on your suites. PLEASE NOTE: Envelope color choices MUST BE CHOSEN FROM THE UPGRADE DROP-DOWN. Specialty envelope requests made here without an upgrade selection will be disregarded. Please enter the information to be printed on your invitations below. We'll take care of formatting! Your order includes three free proofs - any additional revisions will require a $5 fee to compensate work time.Please make sure to CAREFULLY read over your information before submitting. We'll correct any obvious spelling errors, but to minimize proof time, make sure your information is spot-on. PLEASE WRITE EXACTLY AS YOU WOULD LIKE THE TEXT TO BE PRINTED. 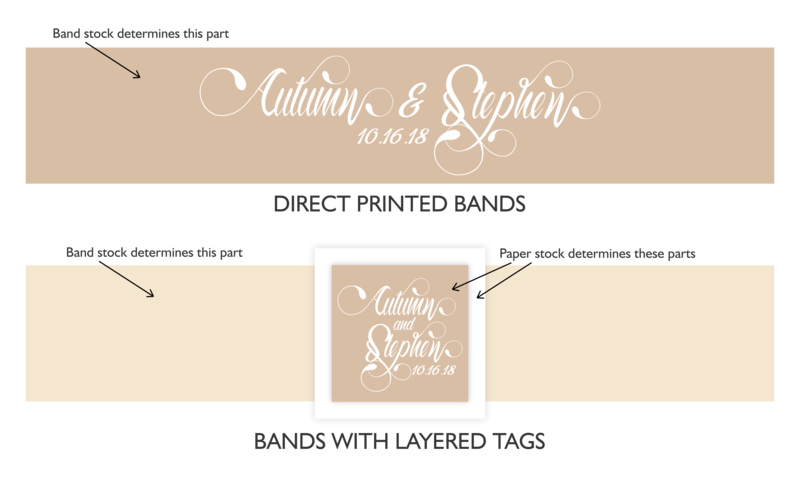 Belly Band - Text that is printed on your invitation wrappers or center tags. Upload Photo - Use this ONLY if you ordered a design that includes a photo. These items will be factored into your total cost. Please use this ONLY if you've requested envelope printing! 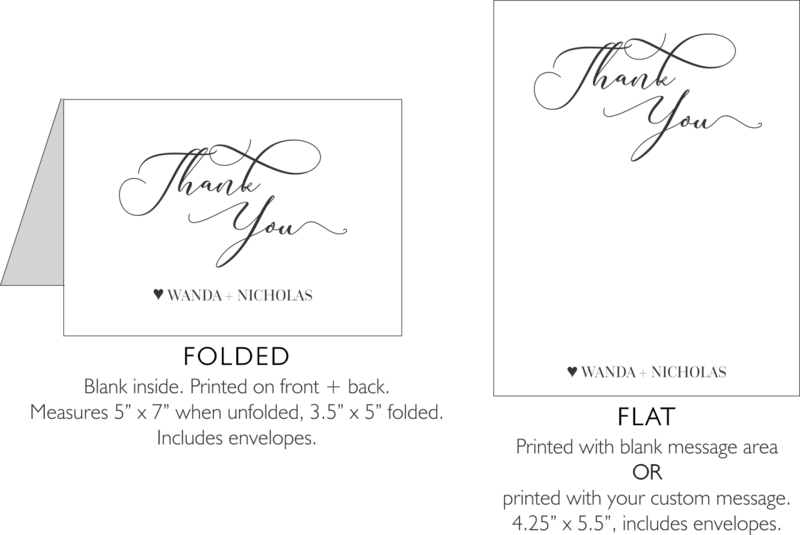 If you chose to include matching Thank-You cards, please personalize below. That's all for now! Expect your proof in 1-2 days. PLEASE NOTE: Hitting "SUBMIT" will not require you to enter any payment info. You will place your final order via a custom Etsy link sent directly to you by us.